VA home loans require an upfront, one-time payment called the VA funding fee. 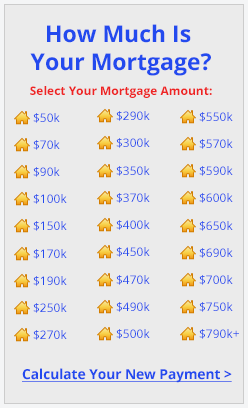 The fee is determined by the loan amount, your service history, and other factors. VA home loan applicants can pay all or part of the fee in cash, or wrap it into the loan amount to reduce out-of-pocket expenses. Here are charts that show common funding fee amounts. 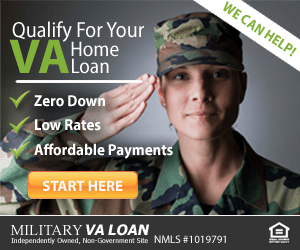 Request a free VA loan rate quote here. The big benefit to a VA loan is that the Veteran’s Administration guarantees the lender against loss in the case of loan default by the borrower. Lenders are willing to approve a loan with no down payment or equity in the home, as long as the borrower meets loan guidelines. Funding fees vary widely, from zero to 3.3% of the loan amount, depending on the veteran’s service and loan type. The charts above show funding fee amounts from the VA Handbook for some of the major categories. Some factors that affect the VA funding fee are whether the borrower is on active duty, a veteran of the regular military, Reserves or National Guard; also, the length of service, and the time at which he or she served. Another factor is whether the VA loan will be a “subsequent use” of the benefit, meaning the veteran has opened a VA loan before. Some veterans are even exempt from the funding fee, if they have a service-connected disability as determined by VA.
Click here to request your VA loan rate and approval. Why Charge the VA Funding Fee? VA funding fees are small compared to the home loan cost savings veterans enjoy. The funding fee sustains the VA home lending program and ensures future veterans can receive the same benefit. The VA home loan program is self-sustaining and does not use taxpayer dollars or use funds from other VA benefit programs. Thanks to the funding fee, VA home loans are an affordable and long-term home buying option for veterans and servicemembers. The VA home loan program is an excellent resource for active duty military personnel and separated veterans. Take advantage of your benefits by calling (866) 240-3742 or completing an online rate quote request. Loan amounts up to $484,350 and higher in some high-cost areas. Check today's VA loan rates. Click here. To learn more about available home loan programs, let us guide you through the process. Call (866) 240-3742.